The following tribute was written in part by Mark D. Taylor, Chairman and CEO of Tyndale House Publishers and son of Tyndale founders Dr. Kenneth and Mrs. Margaret Taylor. Each year we celebrate Founder’s Day during the week of Ken Taylor’s birthday. 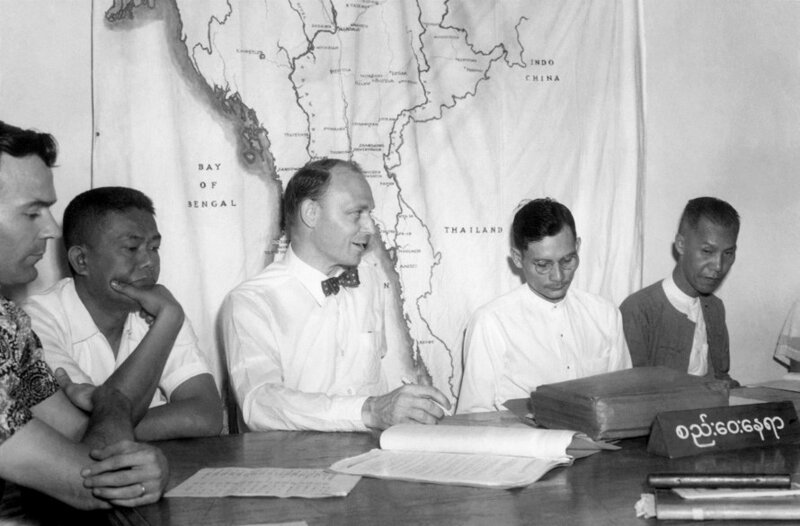 Last Monday, May 8, was the 100 th anniversary of Dr. Taylor’s birth. We celebrated Mrs. Taylor’s actual 100 th birthday six weeks ago. 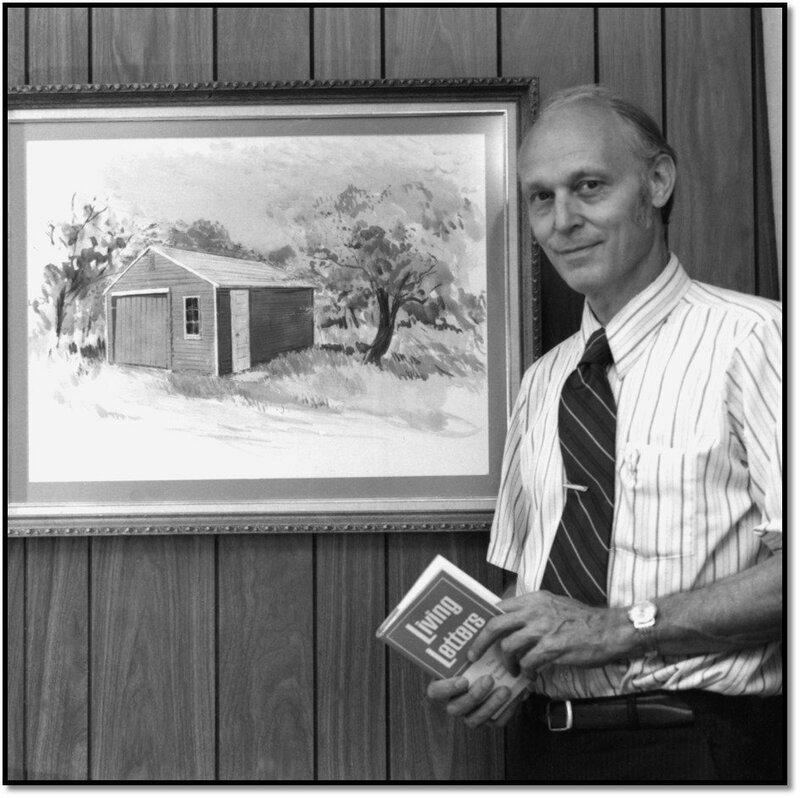 Dr. Taylor was born on May 8, 1917, in Portland, Oregon, to George and Charlotte Huff Taylor. Due in large part to his pastor father and godly mother, Taylor developed a solid faith in Christ and a deep respect for the Bible at a very young age. He graduated from Wheaton College in 1938, attended Dallas Theological Seminary for three years, and graduated from Northern Baptist Seminary in 1944. 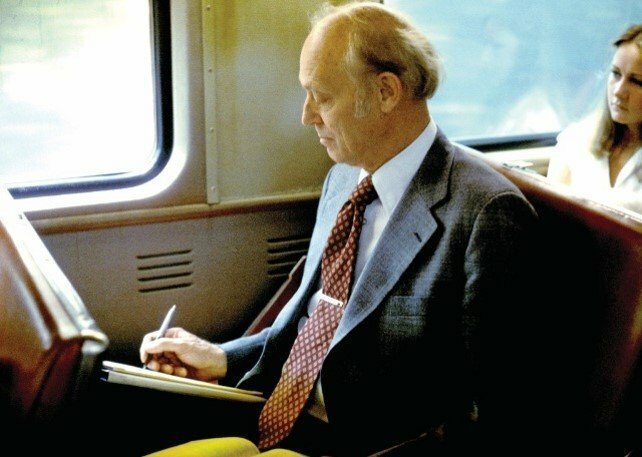 Ken spent 65 years in the publishing industry, began his career as editor of HIS magazine and later served as director of Moody Press in Chicago. He was the author of many children’s books, including The Bible in Pictures for Little Eyes and My First Bible in Pictures . He is best known as the man who wrote The Living Bible , a paraphrase of Scripture that to date has sold more than 40 million copies. Through all our years of discussion and debate, Ken was the champion of the common reader. When the sales of The Living Bible began to slow down, our current Senior Vice President of Group Publishing Ron Beers and I concocted the idea to invite a group of Greek and Hebrew professors to come along side us and recommend revisions for The Living Bible. Our hope was to revitalize the sales of a revised Living Bible. Our first challenge was to convince Dr. Taylor that this was a good idea. After all, we would be asking outside scholars to tamper with his baby! He agreed, and this turned into a multi-year project. The end result was the publication of the New Living Translation in 1996. There are so many other things we could say about Kenneth Taylor, including his commitment to sharing the Word of God in an understandable form in other major languages around the world. He did this through Living Bibles International—another organization he started. We could talk about his generosity in providing the very first grant to James Dobson so that Dr. Dobson could start a daily radio program that grew into Focus on the Family. We could talk about the gift from the Tyndale House Foundation that helped Pastor Bill Leslie and attorney Chuck Hogren start the Cabrini-Green Legal Aid Clinic in Chicago. In the interest of time, I will end with the charge Dr. Taylor gave to Tyndale employees in 2002. As we obey the Lord and carry on his work, he is not only going to bless us but continue to bless others throughout the world because of the work of our hands and minds together with him here at Tyndale House. That is my dream for the future as inevitably Margaret and I will be leaving the work in the course of time. We turn it over to you and back, yet again, to the Lord’s hands. Continue to work with him as we have taught you and carry it on through the future for even greater usefulness and blessings. With this in mind, let’s pray. Father, we’re thankful for Ken Taylor and Margaret Taylor. Thank you for the risks Dr. Taylor was willing to take as he dreamed about ways to spread the Good News of your love and salvation. He has passed this responsibility to us and we want to be good stewards. Give us wisdom as we operate in a fast-changing world. Give us an unusual ability to work well together. Above all, help us grow in our relationship with you. We pray in Jesus’ name, Amen. 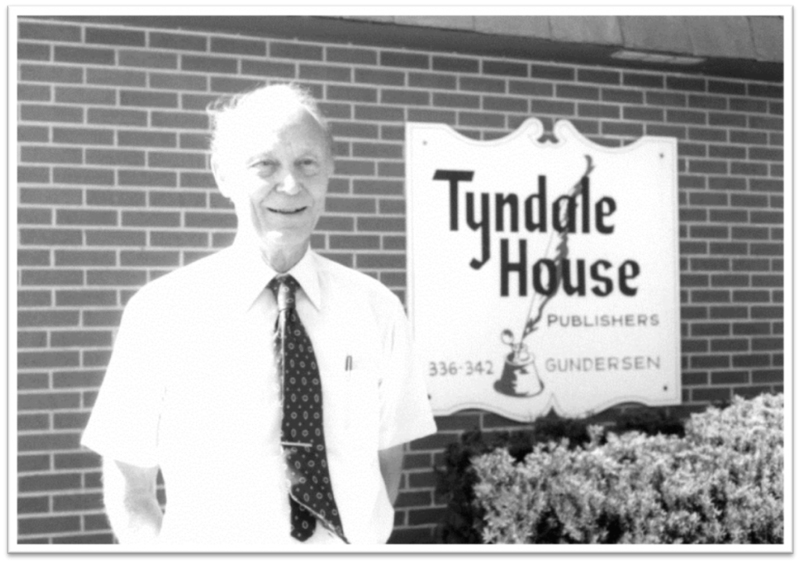 Read more about the life of Dr. Taylor HERE and learn more about the purpose of Tyndale House Publishers HERE .